We offer a comprehensive selection of commercial aluminium doors and windows in Peterborough. Our elegant aluminium can deliver stylish, energy efficient resolutions to any commercial project. From commercial properties, schools to building developments, we offer the solution for any assignment. Offering a variety of different aluminium systems, we can provide our customers with aluminium doors, shop fronts, aluminium curtain walls, automatic doors systems, which offer the ultimate performance, striking in look, not forgetting amazing strength and durability. 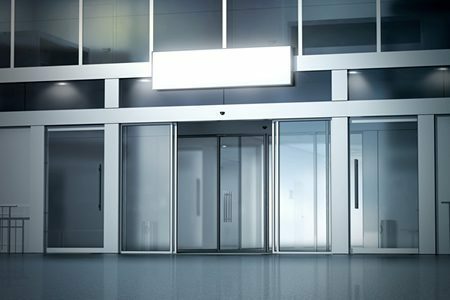 Our commercial automatic doors are made from a robust aluminium material providing strength and reliability. These commercial automatic doors are made to measure, with a lustrous stunning design for any commercial building. These automatic doors are thermally insulated, allowing the building to remain either cool in the summer or warm in winter periods. Our commercial entrance doors will guarantee to make an impression to all of your clients or customers.